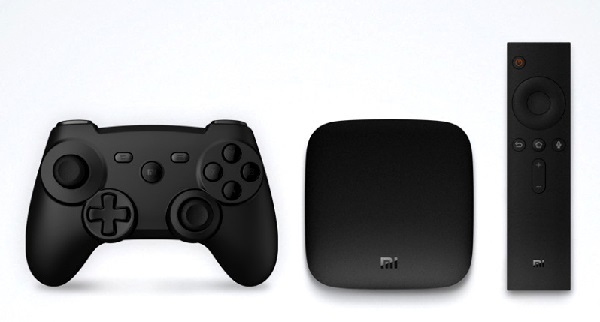 Google I/O 2016: Xiaomi launches Android TV-powered set-top box Mi Box and Mi Game Controller. At the Google I/O 2016, Xiaomi has announced its collaboration with the search giant Google for the launch of a new set-top box called Mi Box. The Mi Box is a 4K UHD set-top box and it is also Xiaomi's first device with Android TV. The Mi Box and will be made available to consumers in the US first followed by other global markets. Xiaomi's Mi Box is powered by Android TV 6.0. It supports video content playback at 60 frames per second, the HDR10 standard (to be enabled from Android N onwards), and the updated HDMI 2.0a specification. The Mi Box a sleek device that comes loaded with a host of content including movies, shows and games from Google Play, YouTube, and other such apps. The Mi Box is equipped with a ARM Cortex-A53 Quad-Core CPU and Mali 450 GPU, 2 GB DDR3 RAM and 8 GB eMMC flash storage. Users have the option to expand storage as much as needed via USB. Audio is supported with Dolby Digital Plus and DTS Surround Sound. Mi Box also has built-in Google Cast technology that lets users easily cast TV shows, movies, music and games from their mobile device to the big screen. It comes with a Bluetooth remote control that supports voice search and commands. Users can change channels, go directly to a TV show or movie, do Web searches, and launch apps by just speaking into the remote. Separately, a Mi Game Controller will also be made available which supports Mi Box and any Android device.